Rules: Residents may only submit one request. 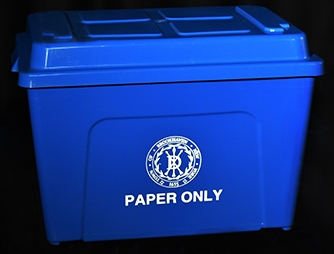 Please print or show (via smartphone) your confirmation email to the attendant in order to receive your paper bin. Additionally, please bring a proper form of identification with you to confirm you live at the address you will select when filling out the online form below. If picking up for a friend or family member, please bring proof of residency, such as their tax bill or utility bill. While supplies last. Villages and Private Communities: Villages and private communities within the Town of Brookhaven are not eligible and their addresses will not be accessible in the list below. Please contact your village or private community for more information.